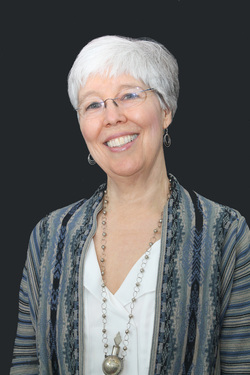 Louise (Lucy) W. Knight is an author, lecturer and historian. She has written two biographies of Jane Addams. In 2005 she published CITIZEN: JANE ADDAMS AND THE STRUGGLE FOR DEMOCRACY (University of Chicago Press, 2005), about Addams's formative years. The second book, the first full life biography of Addams in 37 years is JANE ADDAMS: SPIRIT IN ACTION, (W. W. Norton, 2010). Shifting her focus to the antebellum period, she is currently working on a book about the radical abolitionist-feminists, Sarah and Angelina Grimké, titled American Sisters: Sarah and Angelina Grimké and the First Fight for Human Rights, to be published by Flatiron Books, a new imprint of Macmillan, in 2019. Knight's writing have been published in the New York Times Book Review, the Wall Street Journal, the Nation website, Huffington Post.com, the Chicago Tribune, and the Women's Media Center website. She lectures often at universities, including Harvard University, the University of Wisconsin, and Wellesley College, as well as speaks to organizations ranging from chapters of the AAUW, to the League of Women Voters, to the Women's International League for Peace and Freedom. She has appeared on public television, C-Span Book TV, and various radio stations. In her lectures, booktalks, and other writings, she explores the connections between early and current progressive civic action. During the years 2015 and 2016, Knight was the president of the Frances Willard Historical Association, which manages the historical site, Frances Willard's home, in Evanston, Illinois.